We are pleased to announce that Monica Evavold will join the Division of Marketing and Communications on Oct. 16 as the new Events and Projects Coordinator for ceremonies and university events. She will be part of the team responsible for UND Commencement ceremonies, Founders Day, Feast of Nations, UND Bus Tour for New Faculty and Administrators and a variety of the University’s other high-profile public events. Monica brings 30-plus years of event planning, public relations, project management and marketing experience to her new role. Her career includes success both on and off the UND campus. 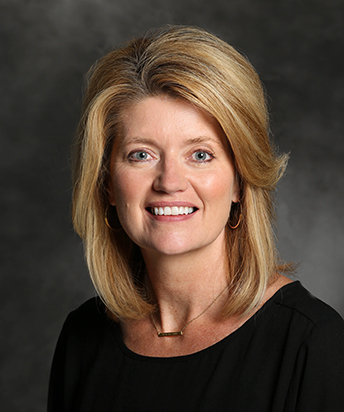 She began her career at UND in 1987 as a conference assistant in the Division of Continuing Education. Monica’s diverse background includes holding positions including advertising/public relations director for Studio One in the UND Television Center, account executive for both WDAZ-TV and KVLY-TV, convention sales manager for the Greater Grand Forks Convention and Visitors Bureau, manager of the Greater Grand Forks Fair, marketing manager for River Cities Speedway, program coordinator for the UND Environmental Training Institute, and most recently as an administrative assistant for residence life at UND Housing. Monica is a proud alumna of the University of North Dakota.